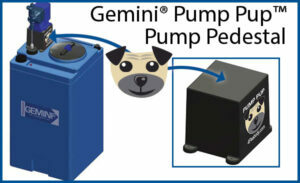 Gemini® Pump Pup - Peabody Engineering & Supply, Inc.
We are proud to introduce The NEW Gemini® Pump Pup™ Pump Pedestal. 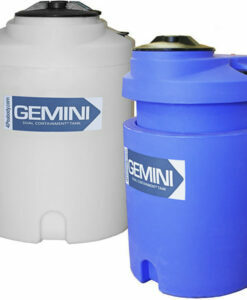 The Pump Pup™ is designed to securely elevate your chemical metering pump on top of your Gemini® or other chem-feed tank to make it easier to connect your suction tubing. 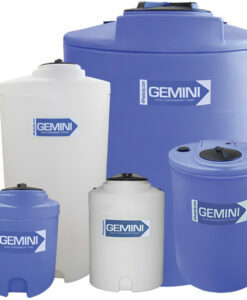 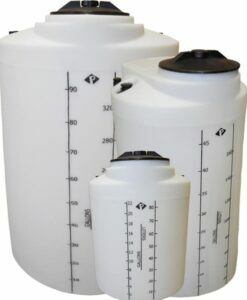 Each Pump Pup is supplied with 8” each of 1/4” OD and 3/8” OD Poly Tubing for quick and easy connection to your Gemini® Suction Tube Assembly. 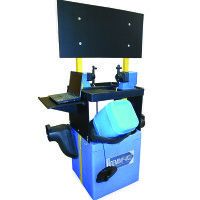 The pump is securely mounted to the rugged, heavy-duty Pump Pup™ pedestal, which in turn is secured to the top of your tank allowing you plenty of room to easily install your suction tubing without the usual hassle of working in tight spaces. 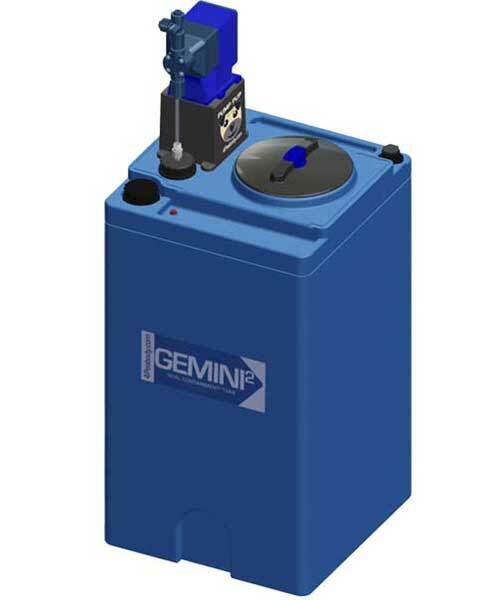 The Pump Pup™ easily mounts on the pump pedestal molded into your Gemini® tank, insuring that any leaks from weeping tubing or leaking diaphragms will be captured in the molded-in sump that is standard on most Gemini® and ProChem® tanks. 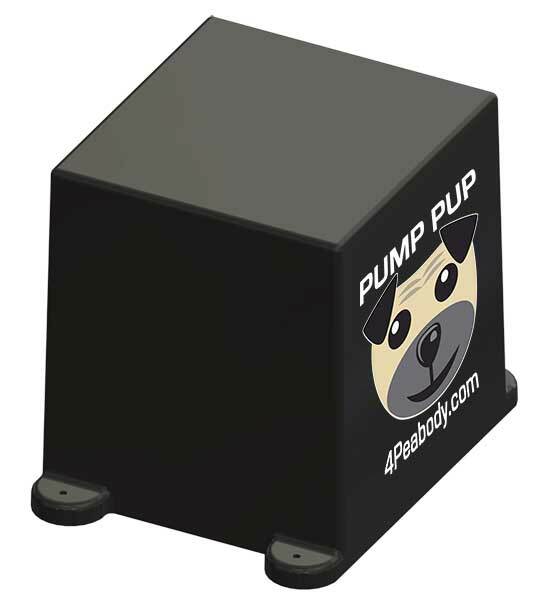 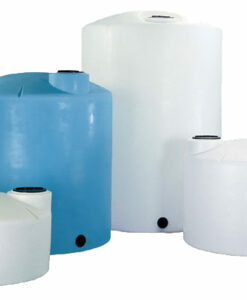 The Pump Pup™ pump pedestal can be ordered separately or in conjunction with your new tanks.